The Cal Teaching Kitchen (CTK) located in Morgan Hall is a hands-on teaching kitchen available for campus use. The College of Natural Resources has launched a campaign to renew the Cal Teaching Kitchen; for more on how to support that project, visit this page. Who may use the CTK? At least one group member must read and sign the CTK User’s Manual Signature of Agreement and complete the self-guided training. Student groups must also have at least one member who is a ServSafe® MANAGER or a staff/faculty member who will be present while using the CTK. How do I apply to use the CTK? How much does it cost to use the CTK? The CTK is free to all Berkeley faculty, staff and students. In order to keep the CTK a free resource, however, donations of paper towels, soap and sponges are encouraged. How many people can be in the CTK at one time? The CTK has a maximum capacity of 18 cooks and 2 facilitators. How do I obtain the key to the CTK? 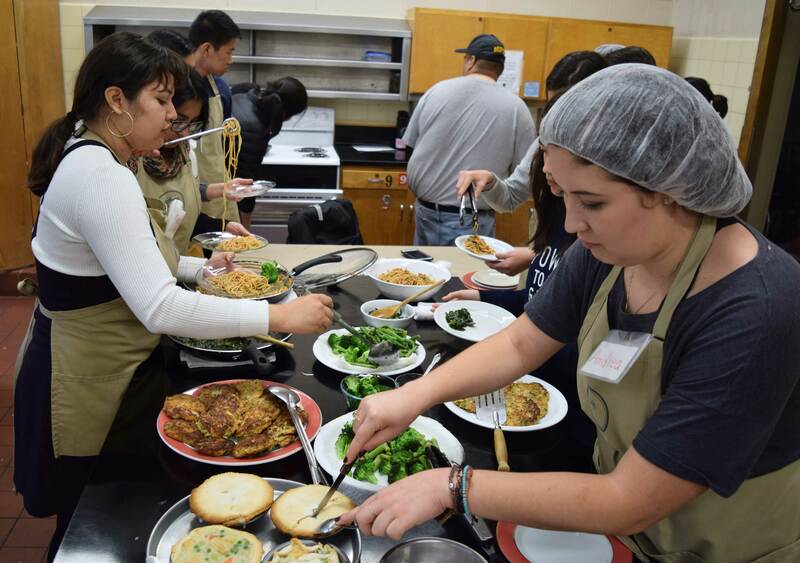 Contact the CTK Student Coordinator at calteachingkitchen@berkeley.edu. You will be given directions for key pick-up and drop-off. The complete procedure is in the CTK User’s Manual, page 2. How many times may our group use the CTK? A maximum of four times per semester, assuming that all the requirements listed in the CTK User’s Manual have been met each time, including cleaning the CTK, proper waste disposal and completion of the inventory/checklist. How do we leave the CTK after use? Please leave the CTK exactly the way you found it. See the CTK User’s Manual pages 2 and 5 for details. A signed inventory/checklist is required for proper checkout and should be placed in the CTK mailbox once completed and signed. Copies are in the envelope hanging on the bulletin board in the CTK. IF YOU DO NOT ADHERE TO THE RULES AND CLEANING REQUIREMENTS OUTLINED IN THE CTK USER’S MANUAL, YOUR ACCESS WILL BE REVOKED. CTK Calendar: Check calendar prior to submitting your reservation request. CTK User’s Manual: Review and sign agreement form prior to using the CTK. CTK Self-Guided Training: Completed prior to using the CTK.